Tom Wright gives the crucifixion full attention in a book that offers up a revolutionary way of seeing Jesus' sacrifice. 'How can the death of one man two thousand years ago have any relevance for me today? The greater the claim, the sharper the question...Why should this one be different? What possible sense can we make of the idea of someone dying for someone else, let alone dying 'for their sins'? How on earth can the violent death of an apparently innocent man be understood as a victory over 'the rulers and authorities'? 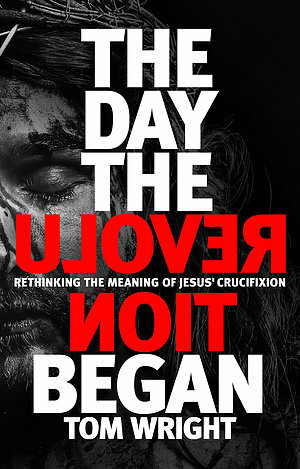 In The Day the Revolution Began Tom Wright invites you to consider the full meaning of the event at the heart of the Christian faith - Jesus' crucifixion.As he did in his acclaimed Surprised by Hope, Wright once again challenges commonly held beliefs, this time arguing that the Protestant Reformation did not go far enough in reshaping our understanding of the Cross.With his characteristic rigour and incisiveness, he goes back to the New Testament to show that Jesus' death not only releases us from the guilt and power of sin, but is nothing less than the beginning of a world-wide revolution that continues to this day - a revolution that creates and energises a movement responsible for restoring and reconciling the whole of God's creation. The Day the Revolution Began will take you to a new level in your appreciation of the meaning of Jesus' sacrifice: opening up its powerful and amazing implications, inspiring you with a renewed sense of purpose and hope, and reminding you of the crucial role you can play in the world-transforming movement that Jesus started. The Day the Revolution Began by Tom Wright was published by SPCK Publishing in October 2016 and is our 6376th best seller. The ISBN for The Day the Revolution Began is 9780281061457. Be the first to review The Day the Revolution Began! Got a question? No problem! Just click here to ask us about The Day the Revolution Began.